Yoshihisa Okamoto is an artist based in Mashiko, the "ceramics capital" of Japan, whose unique tableware can now be seen scattered about Tokyo’s galleries and shops. Okamoto had been working as a businessman in Tokyo for thirty years when he came upon an exhibition of Shugo Takauchi in Mashiko, a few hours north of Tokyo. 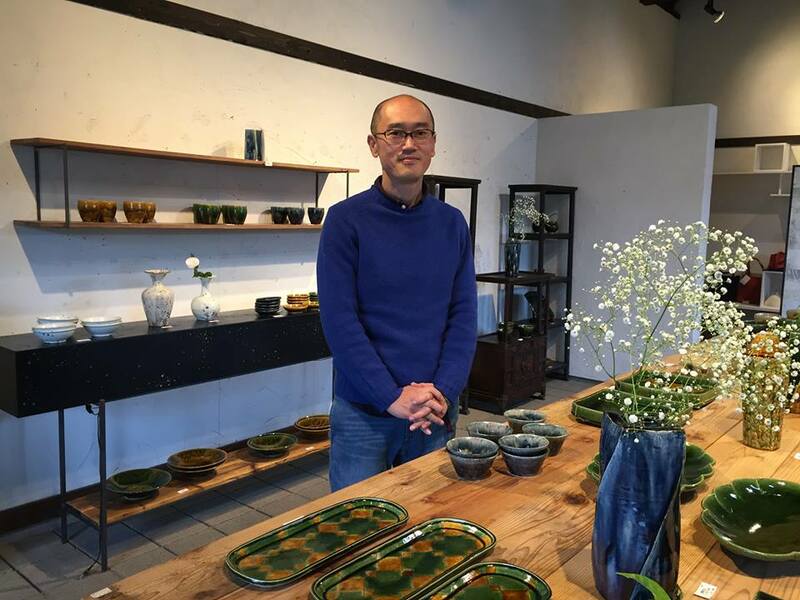 He had been studying pottery for many years, but it was this exhibition that inspired him to do pottery full-time. A few years later, he moved to Mashiko, where he became a pupil of Takauchi. He achieves his unique patterns by first etching them out with a thick needle, then painting over them with a glaze. Over that, he adds a glaze of a different color, the effects which give his pieces unexpected results and their special character. The most important thing Okamoto learned from Takauchi, he says, is to use a variety of dishes to brighten the table. 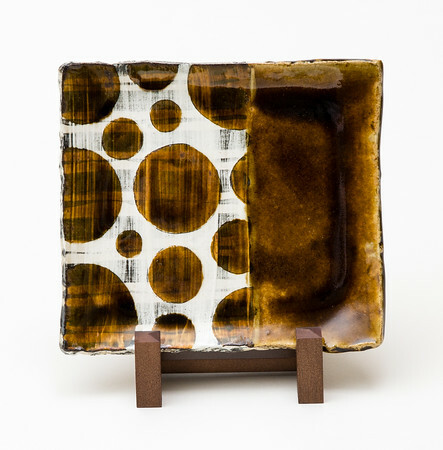 In this spirit, he decorates his pieces with colorful glazes and interesting patterns, which can be used together or with other types of tableware. Please visit our Yoshihisa Okamoto items for sale here.